This book contains the 19-page essay entitled "Detecting Jack Kerouac and Joni Mitchell: A Literary/Legal (Not Musicological) Investigation into the Search For Influence". "He was the leading light of the Beat Generation writers and the most dynamic author of his time, but Jack Kerouac also had a lifelong passion for music, particularly the mid-century jazz of New York City, the development of which he witnessed first-hand during the 1940s with Charlie Parker, Dizzy Gillespie and Thelonious Monk to the fore. The novelist, most famous for his 1957 book On the Road, admired the sounds of bebop and attempted to bring something of their original energy to his own writing, a torrent of semi-autobiographical stories he published between 1950 and his early death in 1969. Yet he was also drawn to American popular music of all kinds - from the blues to Broadway ballads - and when he came to record albums under his own name, he married his unique spoken word style with some of the most talented musicians on the scene. "Kerouac's musical legacy goes well beyond the studio recordings he made himself: his influence infused generations of music makers who followed in his work - from singer-songwriters to rock bands. Some of the greatest transatlantic names - Bob Dylan and the Grateful Dead, Van Morrison and David Bowie, Janis Joplin and Tom Waits, Sonic Youth and Death Cab for Cutie, and many more - credited Kerouac's impact on their output. 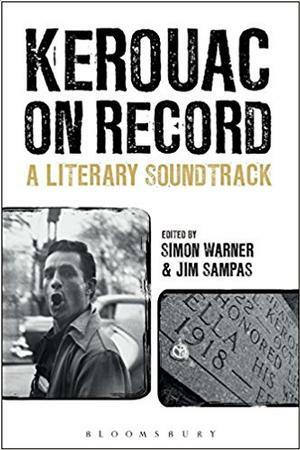 In Kerouac on Record, we consider how the writer brought his passion for jazz to his prose and poetry, his own record releases, the ways his legacy has been sustained by numerous more recent talents, those rock tributes that have kept his memory alive and some of the scores that have featured in Hollywood adaptations of the adventures he brought to the printed page."